Pablo Picasso’s Rose Period (1904-1906) coincides with a period of increased personal joy and romance for Picasso. 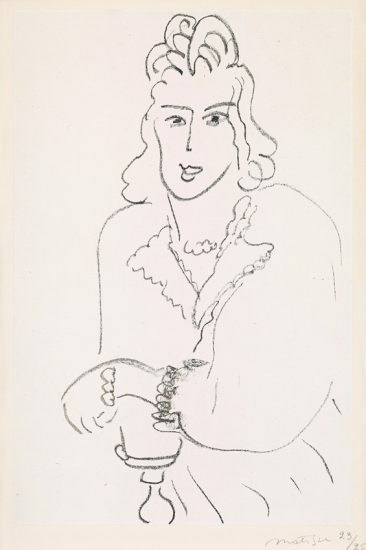 In 1904, Picasso met Fernande Olivier, a French artist and model who became his muse and mistress. 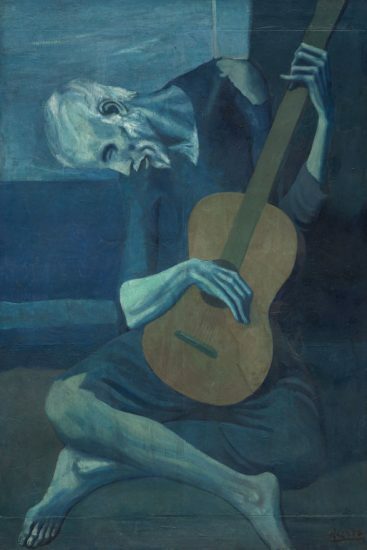 Olivier is credited for partially inspiring Picasso’s artistic transition from the cold, somber tone of the Blue Period to the increased warmth and lightness of the Rose Period. By 1904, Picasso had traded the blue palette and bleak subject matter of his Blue Period for a predominantly red, pink, and orange palette. This period accordingly became known as the Rose Period (1904-1906). With his Rose Period, Picasso favored a lighter, warmer color palette, subtle use of line, idealized forms, and more spirited subjects, such as circus performers. Picasso became fascinated with the fairground and circus performers and began to convey these saltimbanques and harlequins within his works. 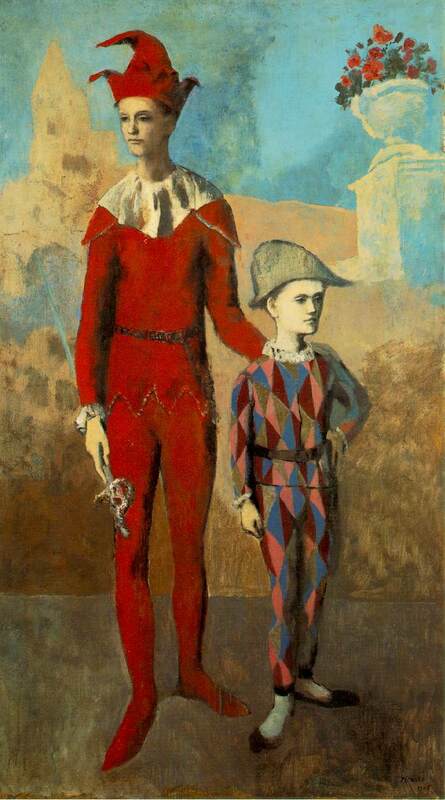 Picasso observed the saltimbanques firsthand at the Cirque Medrano and in the streets and the outskirts of Paris, where a migrant community of acrobats, musicians, and clowns often entertained passing spectators. 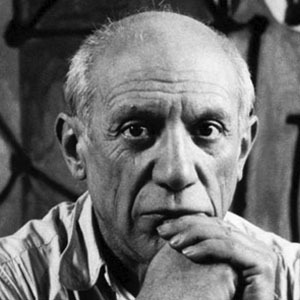 Within the paintings, gouaches, drawings, and prints that he created during the Rose Period, Picasso tends to depict his circus performers at rest, often in isolation or accompanied by fellow performers. Despite the warm color palette, the viewer senses a hint of listlessness and longing within the figures’ blank stares. In keeping with their relatively impoverished circumstances and the saltimbanque’s traditional role as the symbol of the neglected artist, a pervasive languor permeates Picasso’s Rose Period images. Throughout the Rose Period, Picasso produced many works addressing themes of discontent, isolation and dignified alienation. Family of Saltimbanques, one of Picasso’s most famous Rose Period works, depicts a vagabond troupe of circus performers in a desolate landscape. This work conveys a sense of collective alienation and sorrow; the figures huddle together yet fail to interact. At the time, circus performers and artists were often considered kindred souls – both were viewed as independent, courageous individuals idolized by the counter-culture crowd but deplored by the mainstream population. With works such as Family of Saltimbanques, Picasso hoped to elevate these outcasts by featuring them as the subjects of his beautiful yet haunting Rose Period Master works despite complaints. While Picasso worked predominantly as a painter during the Rose Period, he also created resplendent prints in the style of the Rose Period. 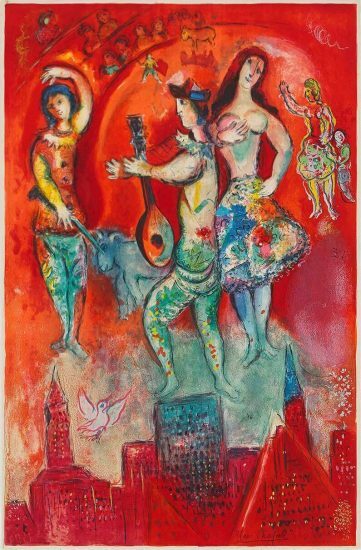 These marvelous prints are often created after the image of renowned Picasso paintings, such as Les Saltimbanques (The Acrobats) and Madame Ricardo Canals. The Rose Period highlights Picasso’s shift from figurative work towards a more expressive and abstract use of color and line and represents the beginning of artistic prosperity and renown for Picasso. 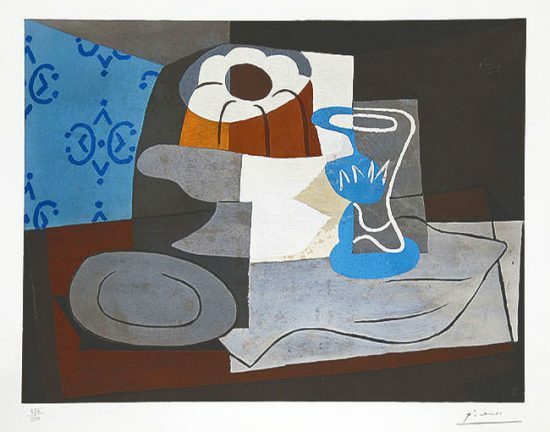 As a result, these exquisite prints, created in the style of the Rose Period, are amongst Picasso’s most alluring and collectible prints in today’s market. The Metropolitan Museum was sued in 2011 by Laurel Zuckerman, great grand-niece of Paul Friedrich Leffmann, a German Jewish businessman. 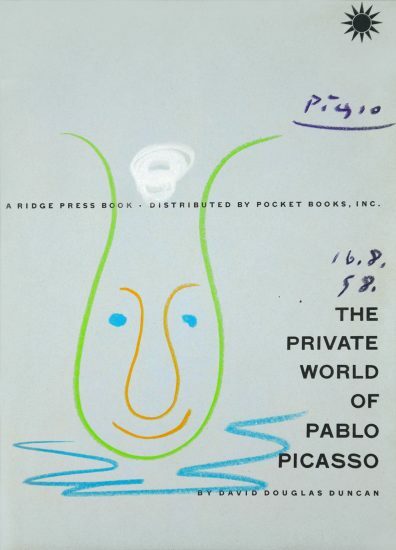 The lawsuit claims ownership over the Pablo Picasso Rose Period painting The Artist, 1904-1905. Zuckerman and her lawyers claim that The Artist was sold by the Leffmann’s under duress as they frantically sought to leave a more and more anti-Semitic Europe at the onslaught of World War II. 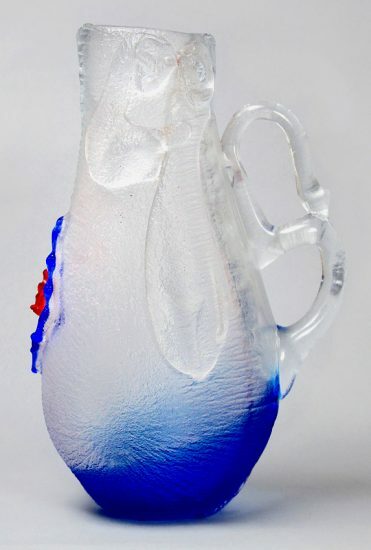 Their research has shown that the piece was sold in 1938 for $12,000 to art dealers. The money was used to pay the couples way out of Italy, where they were living at the time having already fled Germany. The painting was then lent to the Museum of Modern Art in 1939, and sold in 1941 to Thelma Chrysler Foy, daughter of the auto giant. 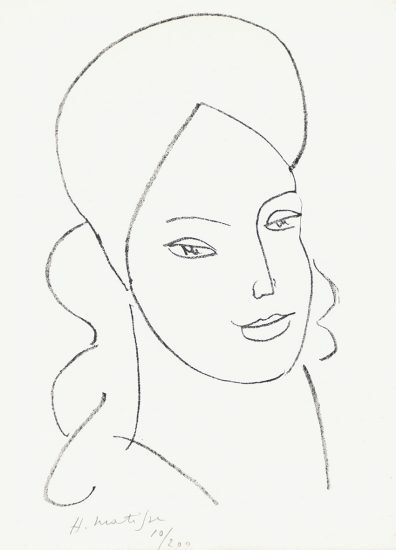 She gifted the piece to the Met in 1952. In a statement, the Met has disputed the claim, saying that they have “undisputable title” and that the painting was sold at market value and not under pressure from Nazi Germany. The Met backs up this claim with the fact that the painting was out of Germany before Hitler came to power. The Met has also stated that the Leffmann’s made no claims for this painting after the war, but made claims for other property that had been sold under duress. Throughout the lawsuit, the Met has claimed that they take issues of provenance very seriously, and have repatriated works in the past. 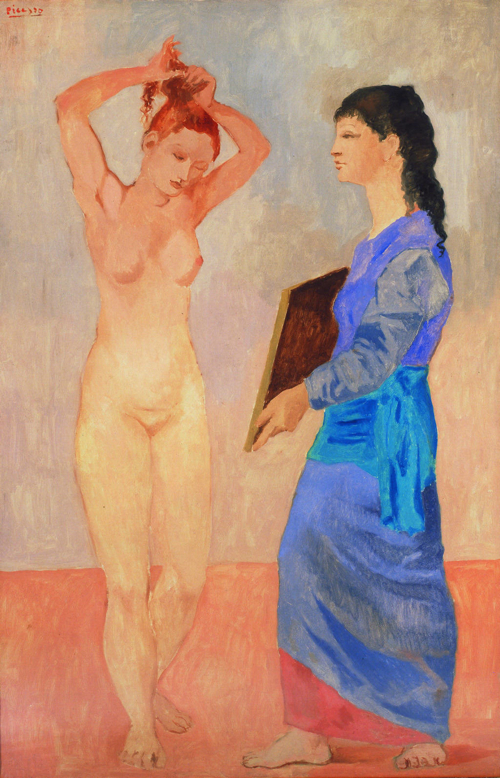 Zuckerman and her lawyers state that the United States Government put institutions on alert for shady provenance during and after World War II, and that the Met did not take adequate care when acquiring The Artist, 1904-1905.